Fotografije dana: 11. april 2016. 1 Ethnic Yao minority women brush their long hair as part of a performance during the local Long Hair Festival, to celebrate the third day of the third lunar month which is regarded as a traditional festival for many ethnic minorities in Huangluo village of Guilin, Guangxi Zhuang Autonomous Region, China. 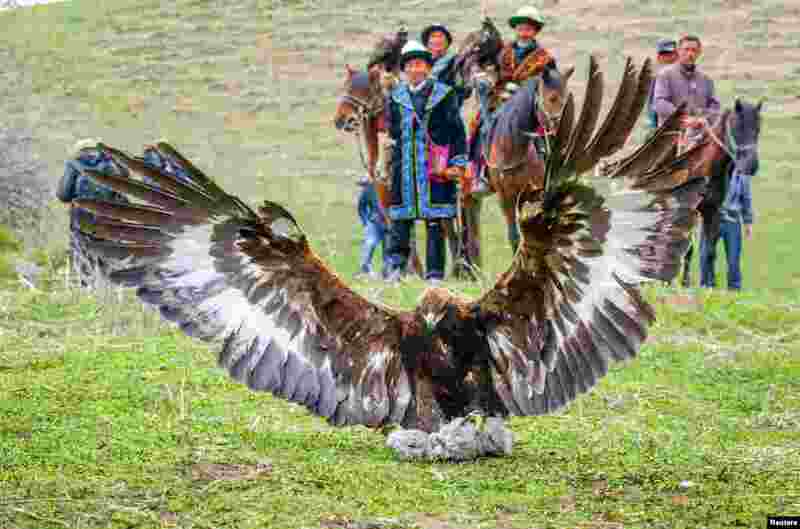 2 Kazakh herdsmen watch a hawk hunt a rabbit during a local festival in Yining county, Xinjiang Uighur Autonomous Region, China. 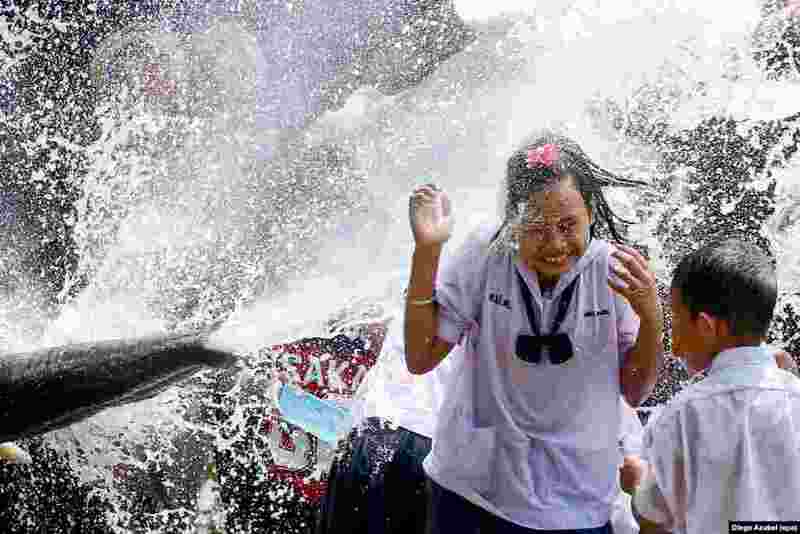 3 A schoolgirl is soaked with water thrown by an elephant during the Songkran Festival celebration, also known as the water festival in the ancient world heritage city of Ayutthaya, Thailand. 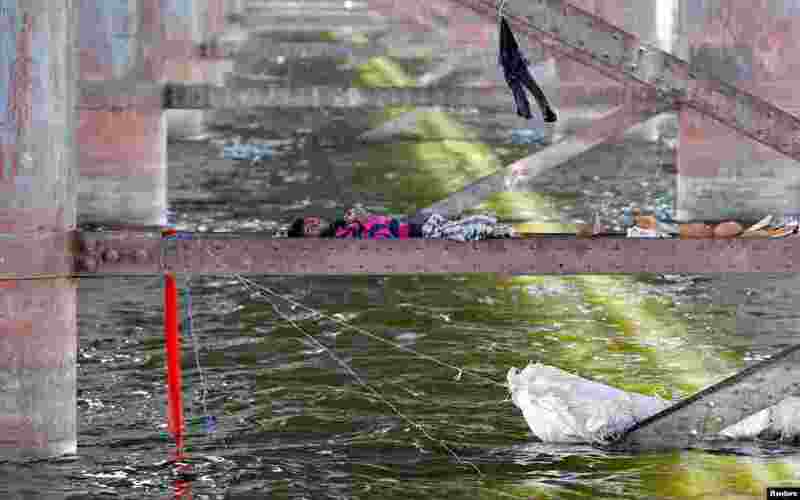 4 A man sleeps on a girder between the two pillars of a bridge on the Sabarmati river during a hot day in Ahmedabad, India.